DOWNLOAD: Honey Dawn Karima - "Beautiful Warriors"
Dr. Honey Dawn Karima is a prolific Creek/Cherokee recording artist, novelist, poet, fiction writer, journalist, filmmaker, playwright and radio host - ie an artist and creator regardless of the medium. Check out this track Beautiful Warriors, featuring Cloudwalker. Honey Dawn Karima's achievements in her many pursuits are remarkable. Among them is her music and her latest album The Desire of Nations which features a mix of her unwavering, serene and pitch perfect vocas soaring over beats with rhymes from numerous guest hip-hop, alternative and dance artists. 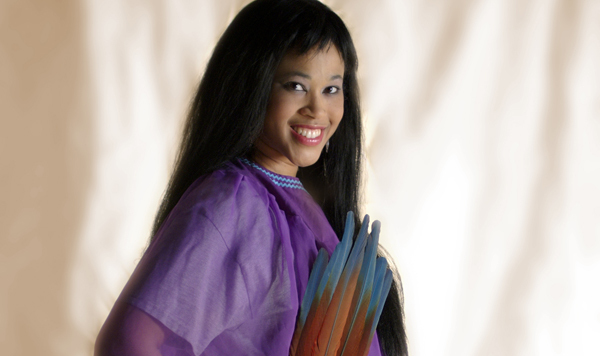 Through her music, Honey aims to honour her culture, language and traditions, while also inspiring dance, reflection and joy.